I'm back! So for those of you wondering where I've been the past week, I've actually just started uni, meaning it's been pretty much non-stop since I got here; unpacking, cooking, food shopping (maybe just a tad of make-up shopping... ahem) etc, but I'm back at last. Hurrah! 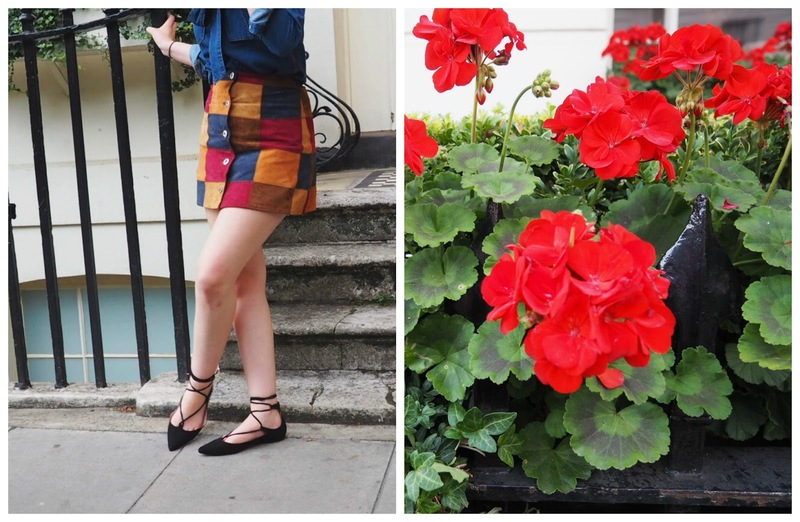 ... and with that, I bring you all a brand, spanking new blog post featuring what I like to imagine was a skirt that was quite literally made for me. 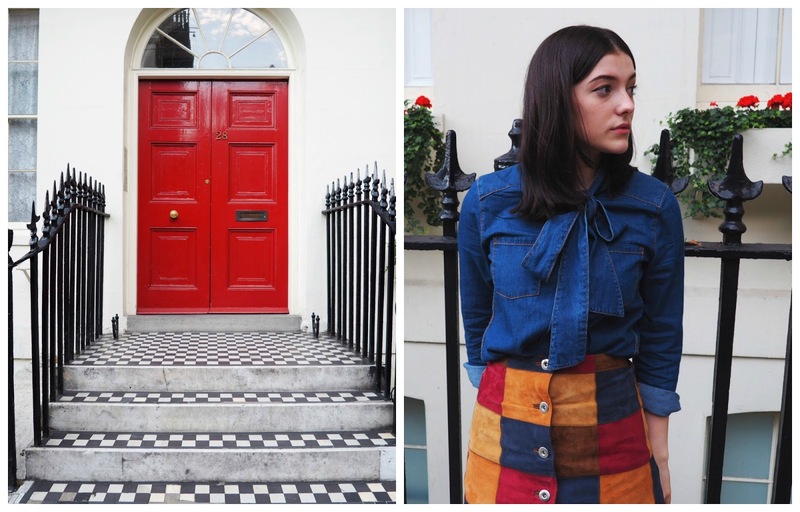 When creating an outfit as bold as this one, I like to pick out colours from what I've chosen (for example, this babeing skirt) then go with one of those for the other components; I decided to pick out the navy within the skirt and pair it with this super sixties pussybow blouse, brought straight into 2015 with the modern denim update. Pretty darn amazing, ammirite? I love this beautiful '70s look! You look amazing. A denim pussybow blouse? That's my idea of perfection. This is a really great look!